Inside: Spread Christmas Kindness with the Kindness Elves when they bring suggestions for ways to show kindness to your friends, family, and community. We love the magic of Christmas in our home. We love it so much in fact, each year we bust out our holiday decorations a little earlier. This year, we’re ready to go pre-Thanksgiving. But there’s one thing I’m not a huge fan of: The Elf on the Shelf. I know, I know, it’s a pretty unpopular opinion. Sure it’s funny when parents put the elf in compromising or silly positions. I don’t want the stress of being creative every day or remembering to move it each night. But the real reason we don’t have an Elf on the Shelf is I don’t want my kids being good just because they think they’re being watched and won’t get presents from Santa if they’re mean, “bad,” or not listening. 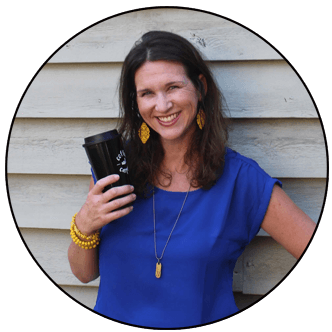 I want my kids to make kind choices every day because it feels good to be kind. Because it warms their hearts when they know they’ve made someone else’s day a little bit better. I want my kids to become intrinsically motivated to make good choices and be kind towards others YEAR ROUND, without the need for praise/gifts or fear of coal in their stocking. 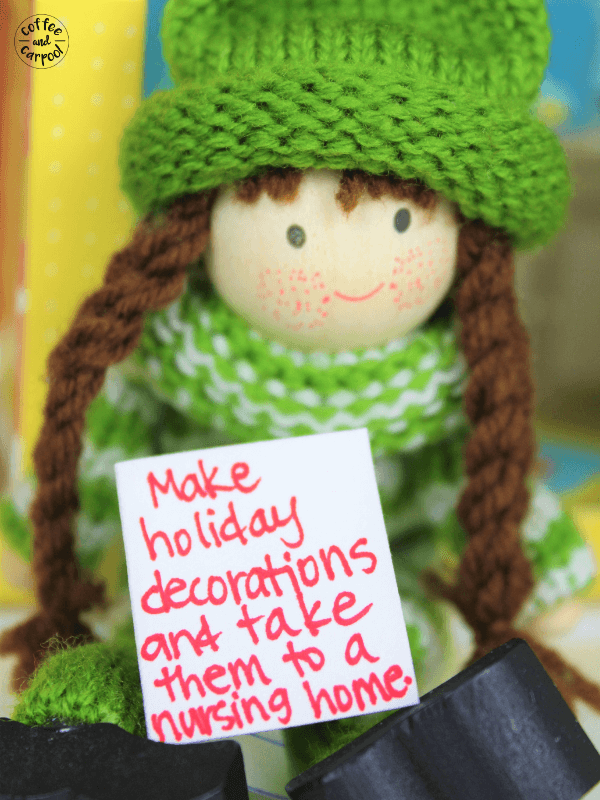 And I’m not anti-elf… we came across elves we do invite into our home: the Kindness Elves. 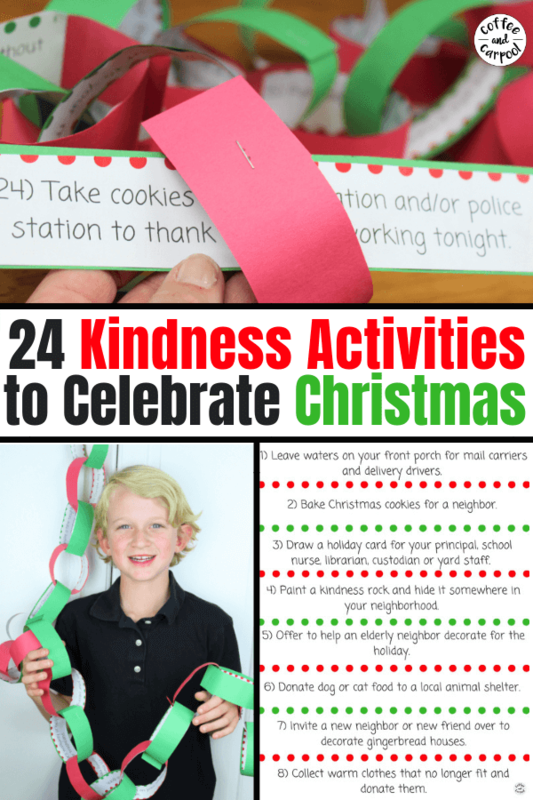 These Kindness Elves hang out with us all year and suggest simple, normal everyday ways we can show kindness to those around us. So our Kindness Elves also hang out with us during the Christmas season since they always have great ideas on how we can share our Christmas spirit and more “holiday cheer for all to hear” by spreading kindness. Teaching kids to be kind takes work. We can’t just focus on kindness during Christmas. We also can’t cross our fingers and hope our kids turn out kind. 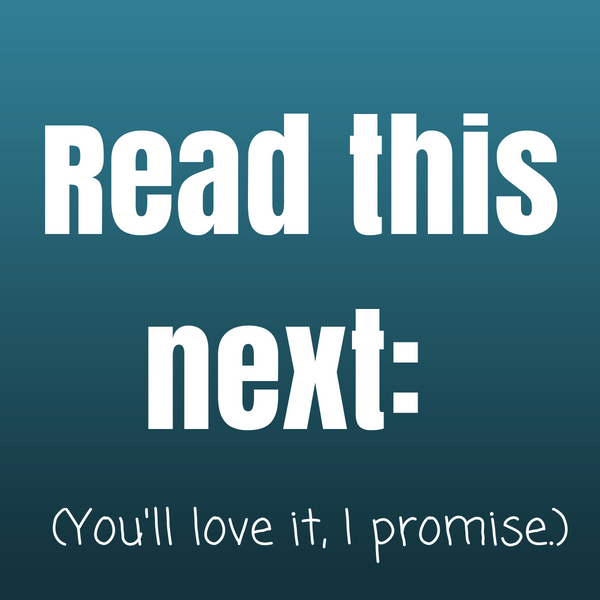 It takes intentional, on purpose practice, reminders, discussions, modeling, and suggestions. And it definitely doesn’t happen overnight because raising kind kids is a long game. We have to model for them how to be kind. We need to show them what kindness looks like, sounds like, and feels like. We need to talk about kindness and kind behaviors often. Related: How to Talk to Your Kids About Being Kinder with These Discussion Starters. 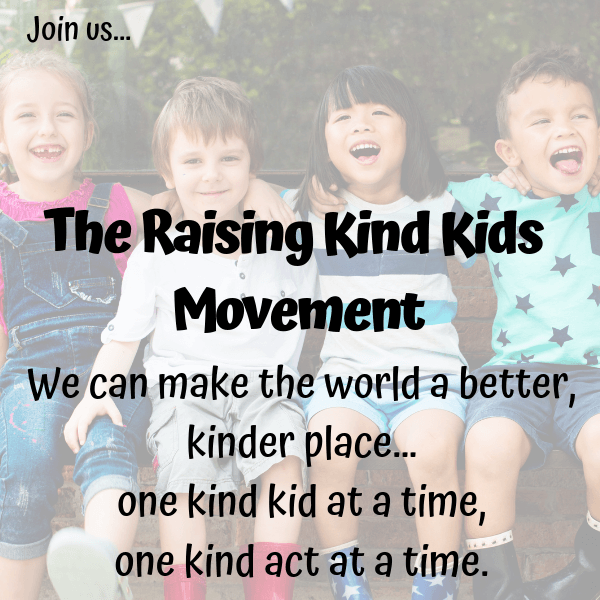 Because kids who are kind–really, really kind–will start to turn their simple acts of kindness into normal, everyday behaviors. And kindness ripples and spreads. Our kids’ smiles, their friendly gestures, their invitations to include others will not go unnoticed. People around them will also start to show kindness. And one by one, the world will be a kinder place. We can literally change our corner of the world when we raise our kids to be kind human beings. 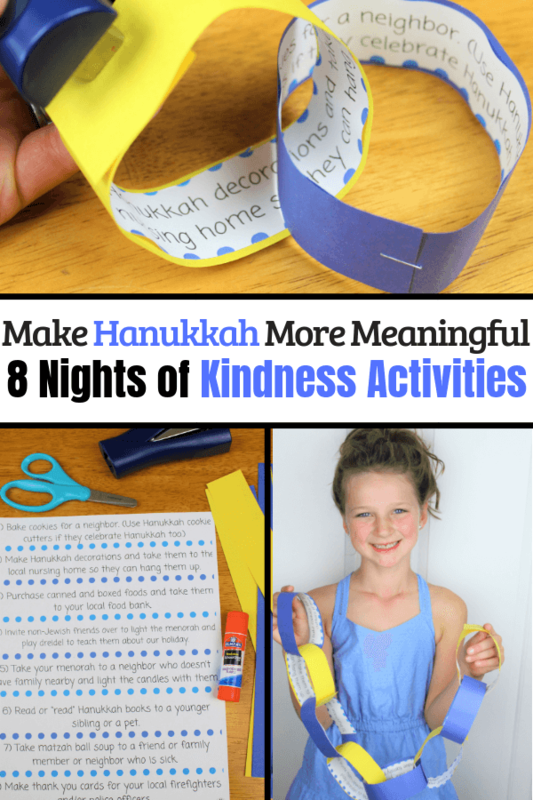 So since we’re always looking for ways to help our kids remember to be kind, we love when the Kindness Elves bring us holiday-themed suggestions for spreading kindness. And we’re always looking for sweet, meaningful new traditions to start with our kids…and this is one of them. 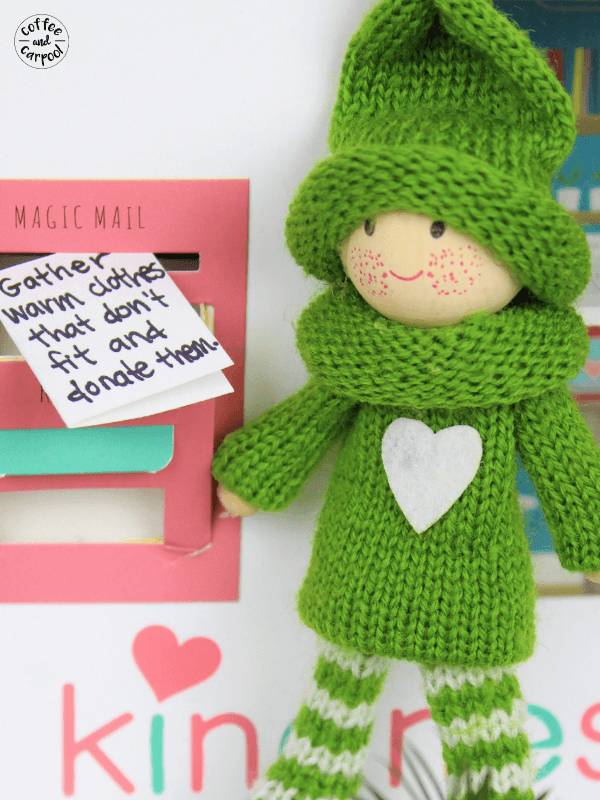 So every day or so, the Kindness Elves bring a small note with a new and kind idea. Then our kids get to read the note and perform the act of kindness. 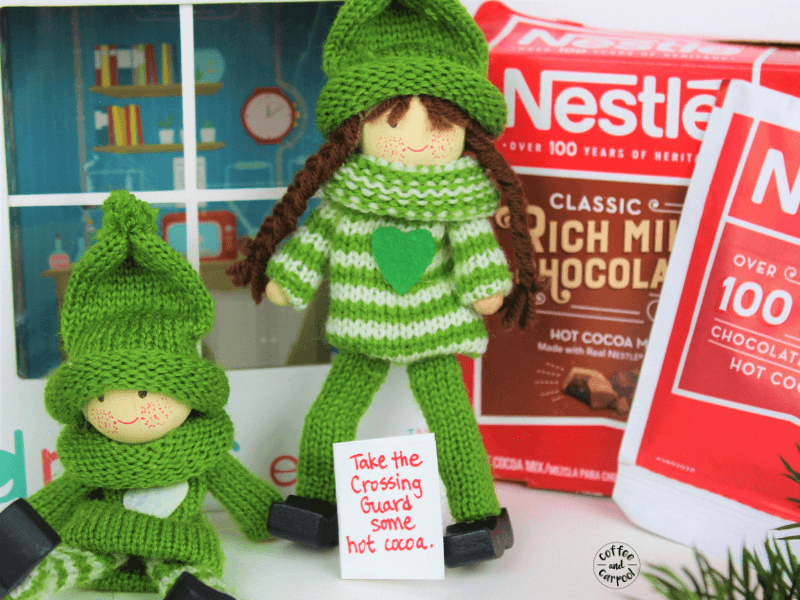 Want your own Kindness Elves? You can invite them to your house here. The Kindness Elves suggest things like leaving water out for our mail carrier and delivery drivers (thank you Amazon prime delivery people). They encourage us to gather up our warm clothes we’ve outgrown to donate them. They remind us to check in on neighbors who live alone and might appreciate an invite over during the holidays. The elves remember people who might get overlooked during the holidays like crossing guards and school custodians. They’re also good at reminding us to donate food to food drives and dog and cat food to animal shelters. Making holiday decorations and taking them to a local nursing home to decorate their lobby and hallways is a sweet idea our Kindness Elves sent us. 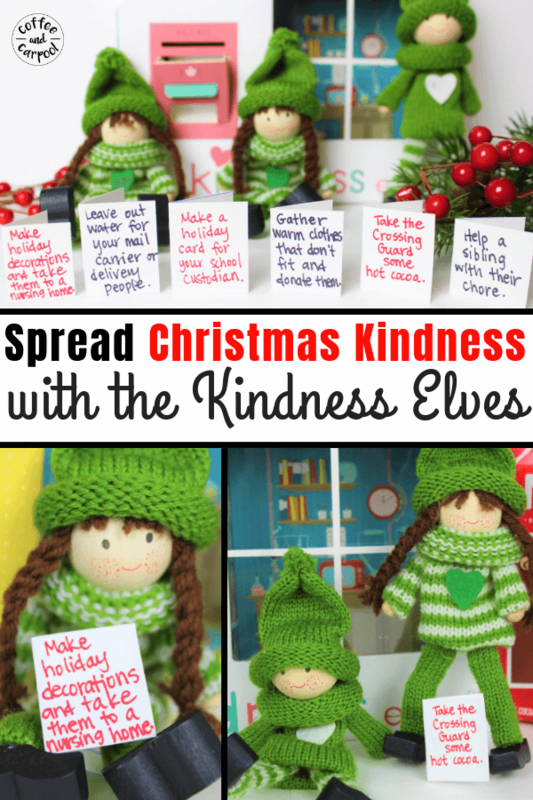 The Kindness Elves can encourage or inspire your family to do any act of kindness this holiday season. But if you forget or if you run out of time, don’t worry. There’s always tomorrow. And these elves don’t report back to Santa. They’re just here to be supportive and to help us all slow down and remember to be a little bit kinder. And that’s some good ol’ fashioned Christmas spirit. 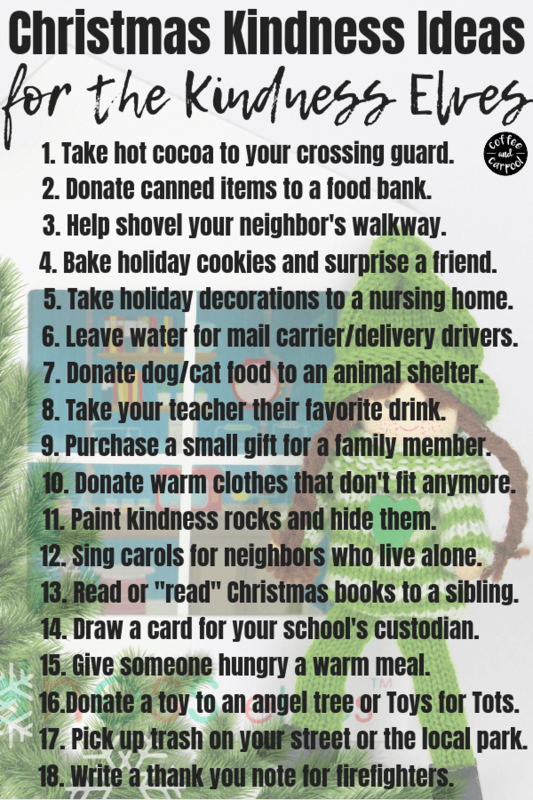 Need more ideas to perform random acts of kindness this December? Sometimes it can feel extra hard being creative during the holiday months. Who has time to do one more thing this holiday season? The ideas are pretty endless. Just like the ripples of your family’s acts of kindness will be endless too.